Home » Products » Superb Victorian flame mahogany three door bookcase. Superb Victorian flame mahogany three door bookcase. 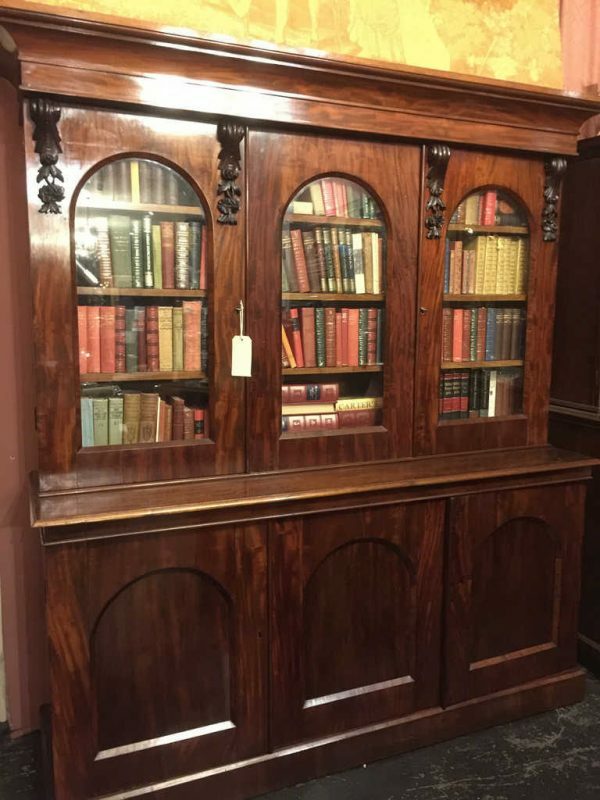 Superb Victorian flame mahogany three door bookcase. Adjustable shelves. Fully fitted drawer base behind panel doors. Circa 1870. Good condition. Excellent example from a large range of antique pieces now available at Melbourne’s best value for money antique shop.